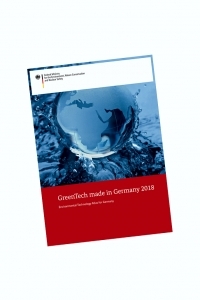 The German Federal Environment Ministry presented the “GreenTech Atlas 2018”. 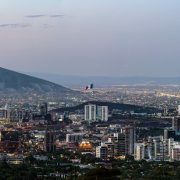 In the view of the ministry, this publication confirms that green products and services are on the rise with a global market volume of 3,200 billion euros in 2016. 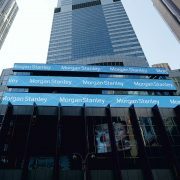 This share is likely to increase by 6.9 percent annually to amount to 5,900 billion euros in 2025. As reported by the consulting firm Roland Berger – which analyzed and assessed international and national environmental technology and resource efficiency markets and conducted the survey – German enterprises have in total a 14 percent share in the global market for environmental technology and resource efficiency. Projections predict an annual average market volume increase for Germany‘s green technology sector of 8.8 percent up until 2025. German environmental standards, the early start on a course to energy transition and the great awareness of German companies for energy and resource efficiency have been instrumental in establishing this high demand. Against this backdrop green technology will also become a driver for jobs. Companies active in the six lead markets (energy efficiency, environmentally sound production, storage and distribution of energy, circular economy, sustainable mobility, sustainable water management, raw materials and general materials management) already employ 1.5 million people – and the numbers are rising. The Federal Environment Ministry is placing an increasing emphasis on environmental innovation. 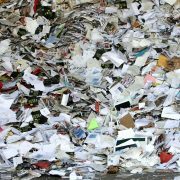 Within the wider sphere of environmental technology and resource efficiency, waste management and recycling is the leading market with the smallest volume. According to the information, the global sector is anticipated to soar from 110 billion Euro (2016) to 210 billion Euro in 2025; in Germany alone, this sector is predicted to grow from 20 billion Euro (2016) to 32 billion Euro in 2025. According to the publication, emerging countries, in particular, have a lot of ground to make up in the area of waste disposal. “For example, the environmental policy goals laid out in China’s 13th five-year plan feature a program of actions to control air, water and soil pollution that include improvements in the treatment of waste. 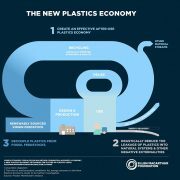 India, too, plans to tackle the subject of waste treatment and disposal with greater vigor, especially in relation to the recycling of scrapped electrical equipment, paper and plastics and the disposal of hazardous waste.” Above all, India is looking to investment by private enterprise.